Susan Cheever has offered the latest in a flurry of books about Louisa May Alcott; hers is titled Louisa May Alcott A Personal Biography. 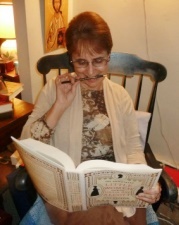 In a little over 250 pages, she sketches out the life of the popular author of Little Women. Cheever’s book is an easy read, with a writing style that is very accessible. The preface immediately captured me as she shared her personal connection with Alcott (thus the subtitle, “A Personal Biography”). I only wish that the book had lived up to the preface (and the epilogue as well) for I actually didn’t find all that much that was “personal” about it. As a disclaimer, I have to say that I read this book in a way that most would probably not as I am very involved in reading about Louisa May Alcott for this blog: I took notes as I read. That plus reading several primary sources mentioned in Cheever’s bibliography made this a 3 month-long journey. Like I said, a little unusual! My feelings about this book are decidedly mixed. On the one hand, I very much enjoyed the back drop of history that Cheever presented throughout the book and did not find it a distraction as has been mentioned in other reviews. As an example, her comments about the Civil War helped put into context Louisa’s experience as a Civil War nurse. I also liked the material she presented on the state of 19th century medicine, Christian Science and Mary Baker Eddy in the final chapter as Louisa desperately searched for relief from the many symptoms of her illness. I find it helpful to have the back story. Yet, even though a lot had been made about the parallels between Louisa and Bronson, and Cheever and her famous writer father, John Cheever, I didn’t recall seeing much of that in the story (at least it didn’t make much of an impression and I had actually hoped for more). I did think she presented a compelling and realistic portrait of Bronson whom I think has got to be one of the most difficult of historical characters. Certainly he evokes strong, and very ambivalent, emotions! “If great works and great inventions happen by accident, careful research can also often show that the accident has been prepared for for years. It was Bell’s understanding of sound, partly developed in his years of work with the deaf, that made him understand the pings he heard through the wire. Man’s accidents are God’s purposes, as Sophia Peabody might remind us. From the perspective of 1868, the writing of Little Women looked like an accident. Because of the accidental coming together of Alcott’s need for a publisher, her concern for her parents, Thomas Nile’s jealousy of other publishers’ successes with children’s books, Bronson Alcott’s unpublished manuscript, and a dozen other things, in May of 1868, Louisa May Alcott, after much stalling finally sat down and started writing Little Women. As inspiring as that chapter was, there were big problems throughout this book beginning with an almost total lack of inclusion of her three sisters in the narrative who played such a enormous role in her life. It’s inconceivable to me how Cheever could have written so little about them. May got the most ink – a few pages. Anna received practically nothing which, when considering how inseparable she and Louisa were in their youth, is puzzling. I also felt her theory, that Louisa was not especially loved by her parents, was not tenable. 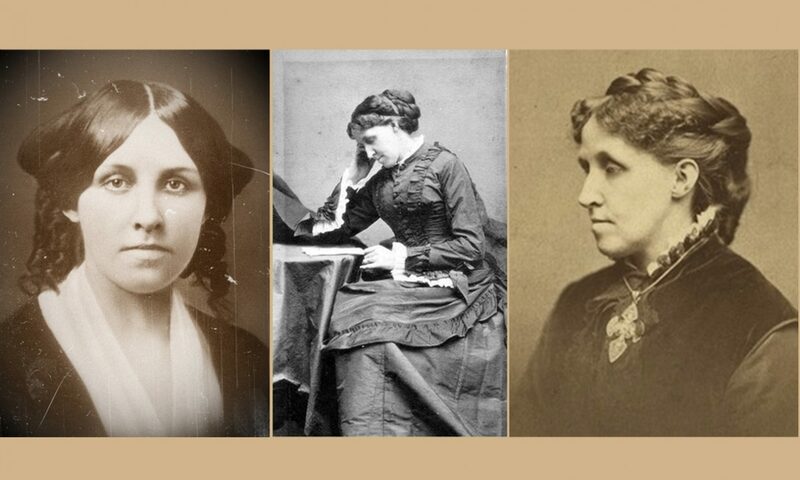 While I haven’t done Cheever’s level of research, I have read several biographies on Louisa May Alcott and I just couldn’t reach her conclusion. To me, Abba (who also was not mentioned all that much in the book) was shown to be a tremendous support to Louisa, writing encouraging notes in her journal, empathizing with her moods and anger and so forth. Louisa was obviously devoted to her mother, having sacrificed so much for her care. The immortal tribute she gave to her “Marmee” in Little Women supports that devotion. There were obvious errors in the book too, such as mentioning that Lizzie, the 3rd sister, was the youngest. I noticed 3 or 4 times that this error was made. It also seemed like she lifted a bit from Madeleine Stern’s excellent book, Louisa May Alcott: A Biography I read Stern’s chapter on Little Women as Cheever had mentioned it in her footnotes and was amazed how similar some of the writing was. Madeleine Stern’s book got me into Louisa’s head and I loved that. Harriet Reisen’s book had tremendous heart and caused me to look again at Louisa’s body of work. But Susan Cheever’s book didn’t really evoke any particular emotion except for the chapter on Little Women, and the last sad chapter about Alcott’s declining health. Here I was very moved. It was an enjoyable book, worth reading and I experienced my usual sense of sadness and emptiness at having to part with yet another friend. 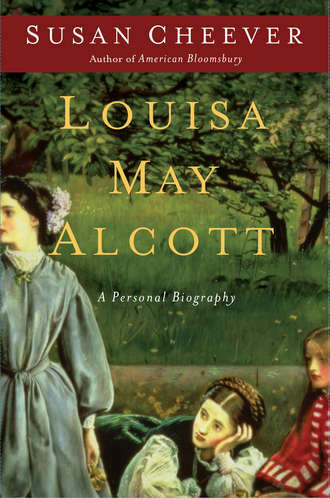 But Louisa May Alcott A Personal Biography is not the book I’d recommend first if you want an in-depth and comprehensive look at Louisa May Alcott. Read Madeleine Stern’s book if you want the definitive biography, and then read Reisen’s. Cheever’s book doesn’t add much that’s new to the mix. I agree with your points that the sisters were hardly mentioned when we know they were a tight knit family. And I do think Abba played a larger part in Louisa’s life than anyone gives her credit for. In fact I daresay she was more influential on Louisa’s life than her father. I would also agree that while Bronson didn’t understand Louisa (during those early years) that doesnt mean he didn’t appreciate her later in life and perhaps he became more comfortable with the woman she became. I do think there was a bond there. Strained? Perhaps at times. But what father daughter relationship isn’t? 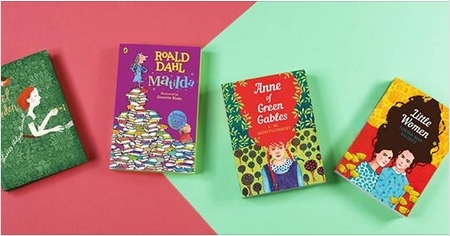 Mine certainly was growing up. Great review. I have to admit I’d rather not read a bio that’s so presumtuous as to suggest the Alcotts didn’t love Louisa? I love your point about Bronson’s final words to Louisa. Which bio are you going to read? I’ve heard that Eden’s Outcasts by John Matteson is supposed to be excellent, even though it’s about both Louisa and Bronson.